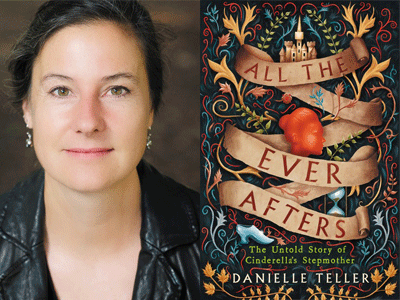 Local author Danielle Teller joins us for a Book Launch celebrating her charming debut work of fiction, All the Ever Afters: The Untold Story of Cinderella's Stepmother. In the vein of Wicked, The Woodcutter, and Boy, Snow, Bird, a luminous reimagining of a classic tale, told from the perspective of Agnes, Cinderella's "evil" stepmother. A peasant born into serfdom, Agnes is separated from her family and forced into servitude as a laundress's apprentice when she is only ten years old. Using her wits and ingenuity, she escapes her tyrannical matron and makes her way toward a hopeful future. When teenaged Agnes is seduced by an older man and becomes pregnant, she is transformed by love for her child. Once again left penniless, Agnes has no choice but to return to servitude at the manor she thought she had left behind. Her new position is nursemaid to Ella, an otherworldly infant. She struggles to love the child who in time becomes her stepdaughter and, eventually, the celebrated princess who embodies everyone's unattainable fantasies. The story of their relationship reveals that nothing is what it seems, that beauty is not always desirable, and that love can take on many guises.